The above photograph (Moscow, 1925) comes from page 27 of Shakhmatnaya pravda by S. Tartakower (Leningrad, 1926). 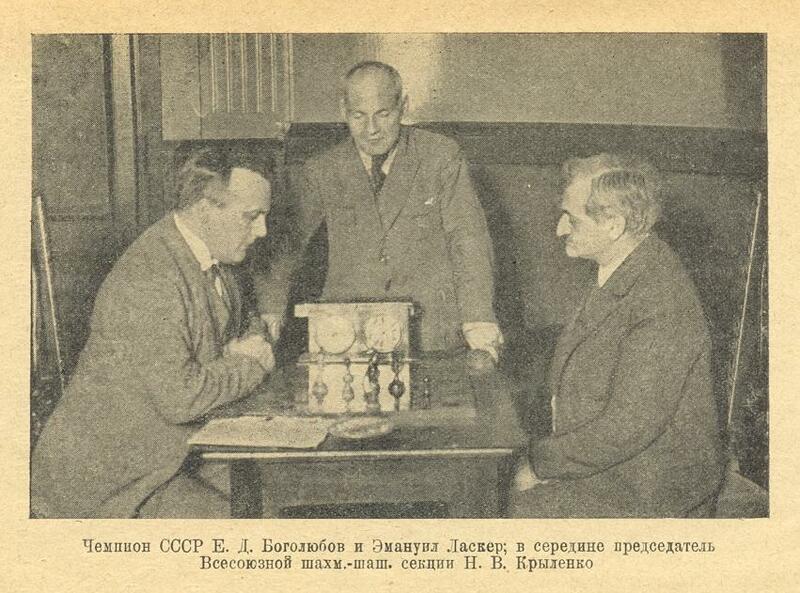 As mentioned in the caption, the person standing is N.V. Krylenko. 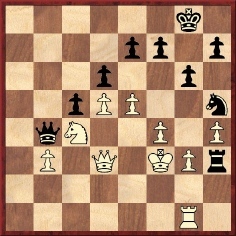 19...Kh8 20 Ne5 Nf6 21 Nxc6 Rxc6 22 Qe5 Rd6 23 Bxd5 Bb5 24 Bg5 Bc6 25 Bxc6 Resigns. 1 Nf3 c5 2 g3 Nc6 3 Bg2 d5 4 O-O Nf6 5 d3 e6 6 Nbd2 Be7 7 e4 O-O 8 Re1 Qc7 9 e5 Nd7 10 Qe2 b5 11 Nf1 a5 12 Bf4 b4 13 h4 Ba6 14 Ne3 Ra7 15 h5 Rc8 16 h6 g6 17 Nxd5 exd5 18 e6 Qd8 19 exf7+ Kf8 20 Ng5 Bxg5 21 Bxg5 Nf6 22 Bxf6 Re7 23 Qf3 Kxf7 24 Bg7+ Ke8 25 Bh3 Resigns. 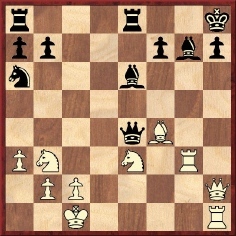 Although the move-order was altogether different, the same position was reached after 19 exf7+, and despite winning the first game Ciocaltea lost the second one. Source: Hans Schemm spricht – Seine Reden und sein Werk by G. Kahl-Furthmann (Bayreuth, 1935), page 178. 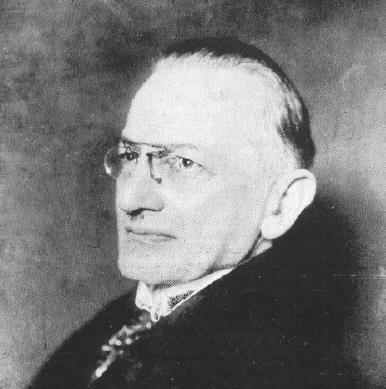 Below are two photographs of Schemm. 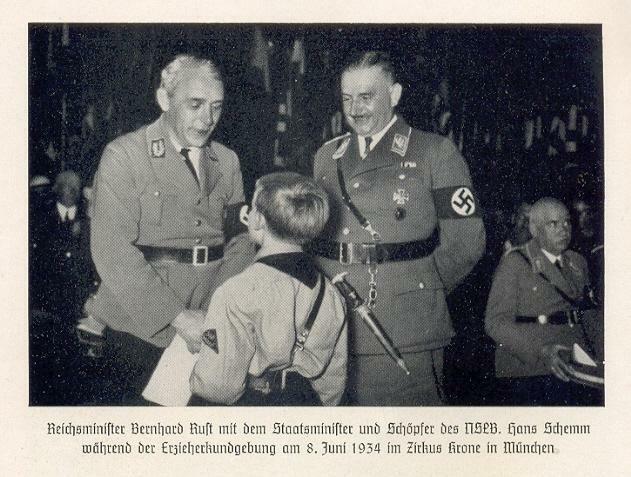 The first was published opposite page 192 of Hans Schemm, volume one by Benedikt Lochmüller (Bayreuth, 1935), whereas the picture of him standing alongside Bernhard Rust (1883-1945) appeared in Hans Schemm Ein Leben für Deutschland by Bernd Lembeck (Munich, 1936). ‘The game appears in the poem “Scachs d’amor”, Valencia, circa 1475. It is the work of three famous Valencian poets, Bernat Fenollar, Narcis Vinyoles and Francí Castellví. 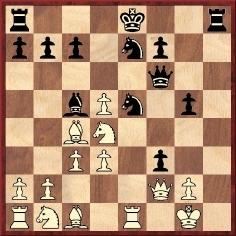 Castellví plays the red (white) pieces and Vinyoles the green (black) ones, while Fenollar is the referee, describing in his interventions the birth of modern chess and providing a first set of rules. 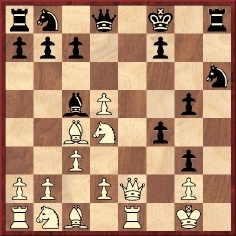 The opening is a Centre Counter-Gambit (1 e4 d5 2 exd5 Qxd5), so as to “show” the new piece from the very beginning. The poets describe the movement of the new piece, claiming to have invented it (stanzas 1 and 54), and thus confirming the Spanish origin of modern chess. 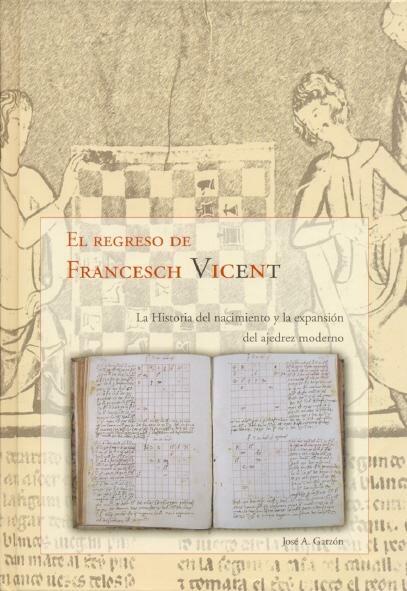 There have been few chess books more attractively produced than El Regreso de Francesch Vicent, which has been published in English under the title The Return of Francesch Vicent. 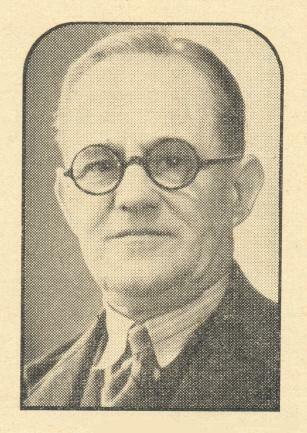 The above photograph is of Harold Meek, reproduced from page 4 of the British Chess Federation’s Year Book 1938-1945 (Leeds, 1946). 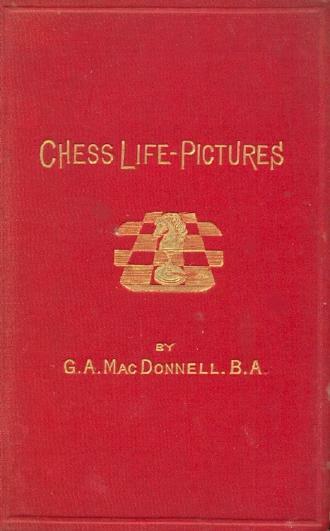 Whereas Meek’s entry in the 1987 edition of Jeremy Gaige’s Chess Personalia recorded that he was born in 1865 in Gloucestershire, the privately-circulated 1994 edition gave 13 October 1885, in Westbury on Severn (Gloucestershire). That latter date matches the statement on the inside back-cover of the December 1954 BCM that Meek died at the age of 69. 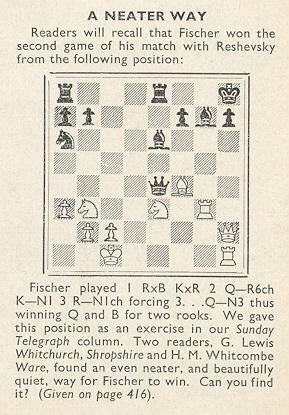 On the subject of the British Chess Federation Year-Book we add that pages 217-235 of the 1953-54 edition had an article which is a valuable aid to research: ‘The British Chess Federation – Fifty Years in Retrospect’ by D.J. Morgan. A very well-known name in the chess world, but who is she? The final standings were: 1-2 Cotton and Holloway (England) 5½; 3 Stevenson (England) 5; 4 Michell (England) 3½; 5 Kalmar (Austria) 3; 6-7 Gülich (Czechoslovakia) and Pohlner (Austria) 2½; 8 König (Germany) ½. 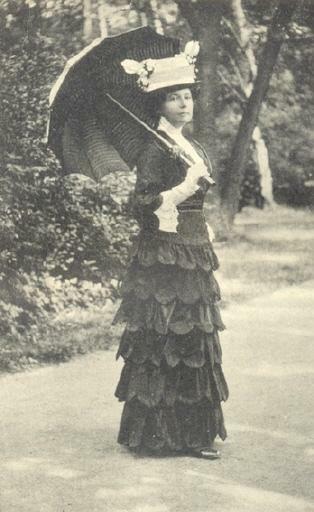 Of the successful players in Meran, Miss Cotton is probably the least known. Our correspondent notes that she was named in the Kurzeitung und Fremdenliste Meran Nr. 24 of 16 February 1924 (page 3) as ‘Cotton-Meirchin Charlotte Helene, Private, London’. 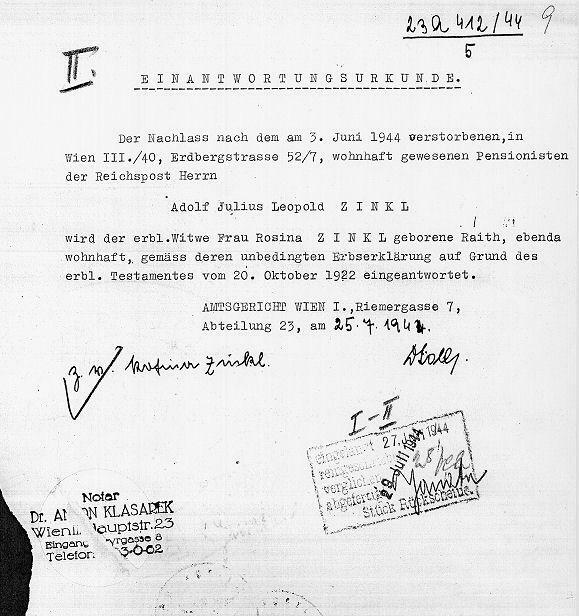 The crosstable was given on page 104 of Schachjahrbuch 1924. I. Teil by L. Bachmann (Ansbach, 1925). 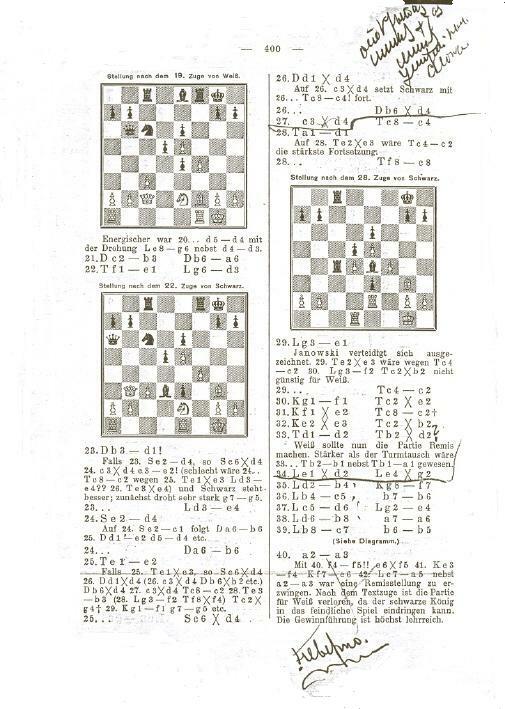 Page 129 of the April 1924 BCM reported that after the tournament three of the participants (Holloway, Cotton and Stevenson) defeated three others (Kalmar, Gülich and Pohlner) in a double-round London v Vienna match which the magazine described as a ‘unique event, we believe, in chess history’. 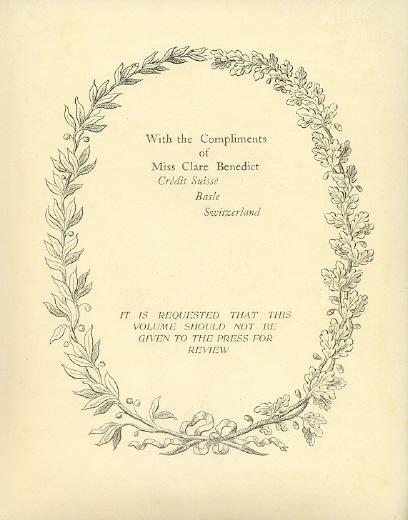 Noting Miss Cotton’s death, page 92 of the March 1929 BCM remarked that ‘on various occasions she competed in the British women’s championship’. We should like to present one or two good games by her. 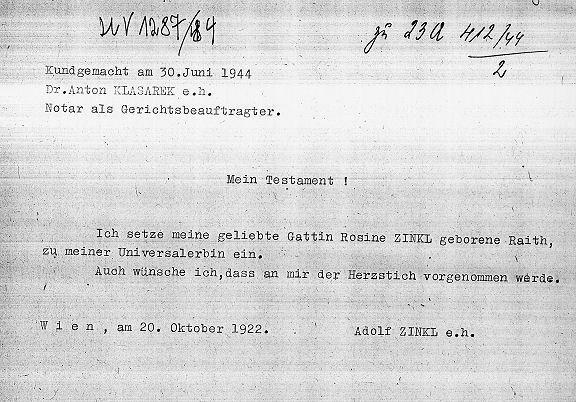 The Herzstich reference is notable. 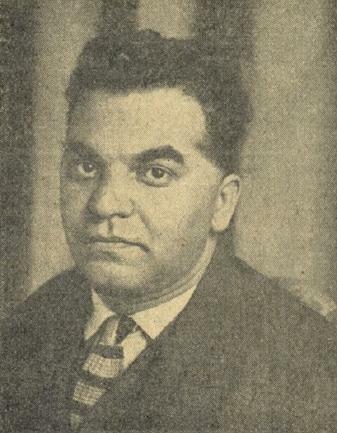 Koltanowski continued the column until his death in February 2000, i.e. for a total of almost 51 years and nine months. C.N. 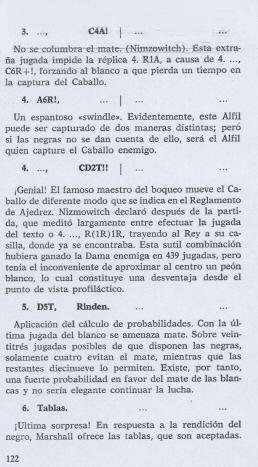 4772 dealt with the famous Nimzowitsch v Sistemsson parody, and now Javier Asturiano Molina (Murcia, Spain) mentions a fantasy game between ‘Aaron Marshall’ and ‘Frank Nimzowitch’: 1 e4 a6 2 Bc4 Nh6 3 Bb3 Nf5 4 Be6 Na7 5 Qh5 Resigns 6 Drawn. Had the spoof already been published elsewhere? 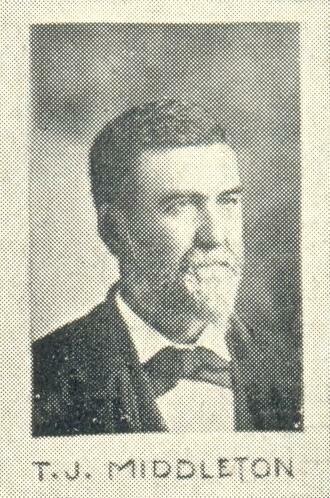 A photograph of Potter was given in C.N. 4554, which reproduced an article about him by G.H. Diggle. 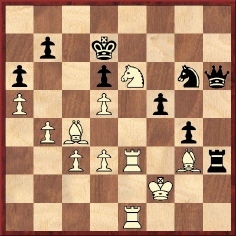 4...Ne7 5 Nxe5 c6 6 Nc4 cxb5 7 Nd6 mate. The miniature is, however, still frequently attributed to him, even today. 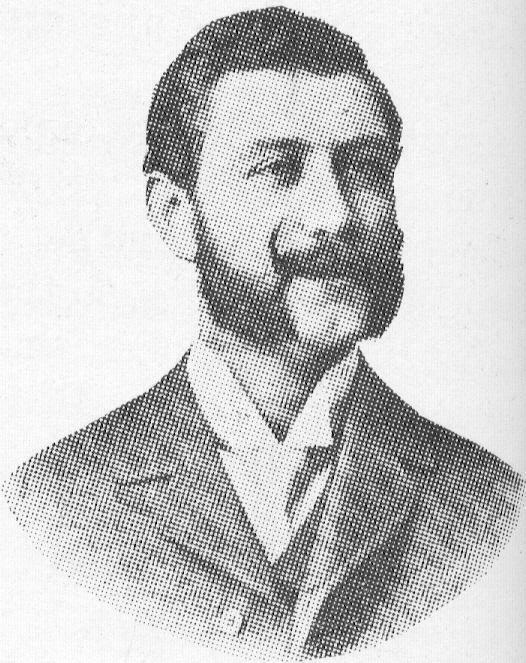 James Mortimer played 4...Ne7 on three occasions at London, 1883, the first being against Rosenthal on 7 May. 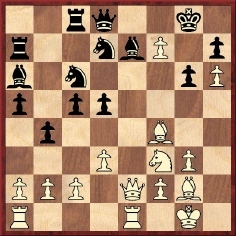 Later in the event Zukertort essayed it against Englisch and wrote on page 22 of the tournament book, ‘Mr Mortimer claims to be the inventor of this move. I adopted it on account of its novelty’. Was Mortimer one of the ‘two very strong amateurs’? 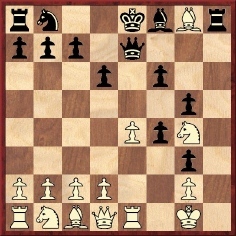 4...Ne7 was also played by C.E. Ranken against W.E. Vyse in the Vizayanagaram tournament at London, 1883 (Chess Player’s Chronicle, 24 October 1883, pages 166-167). For further information on Mortimer’s trap, see Bent Larsen’s article ‘So manchen wilden Pfad’ on pages 10-17 of Kaissiber, July-September 2005. C.N. 2806 (see page 69 of Chess Facts and Fables) referred to Paul Morphy’s agreement in 1859 to write a chess column for one year in the New York Ledger for $3,000, and we charily suggested a modern-day equivalent of $63,500. 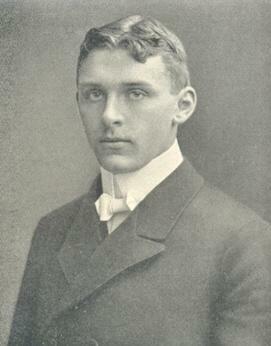 ‘Robert Bonner, at that time, was in the first flush of success with his N.Y. Ledger. 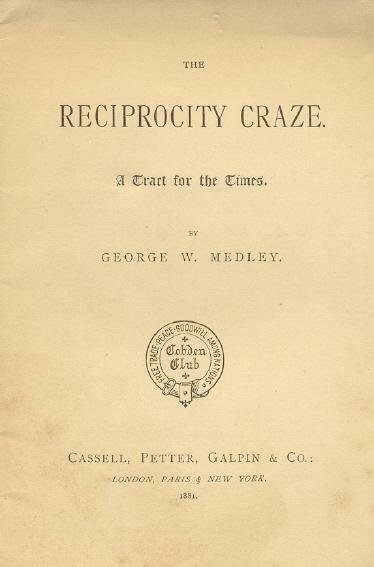 He paid the highest prices for the best work – ten thousand dollars to Edward Everett for one column a week for a year – some fabulous sum to Charles Dickens for an original story, etc., etc. 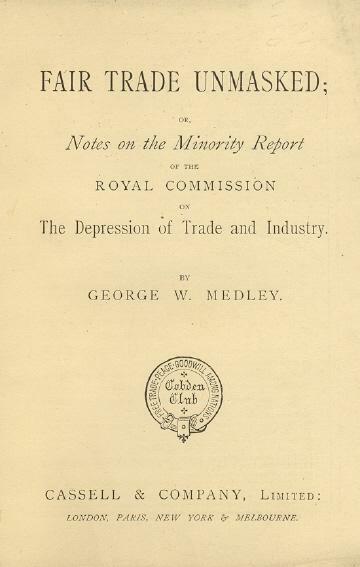 With his keenness, wide awake to everything that was on the topmost wave of popular favour and universally known, and with his intention to have the best that money could secure for his paper in every department, he thought he saw an advantage, at least in the way of advertising, in having a chess column for the Ledger, edited by Morphy. 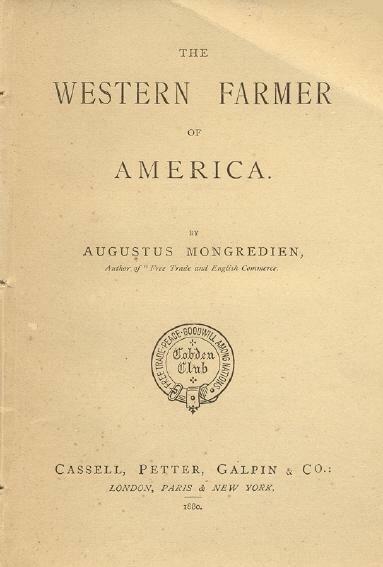 Some extracts from Fuller’s letter were quoted on pages 95-96 of Morphy Gleanings by P.W. 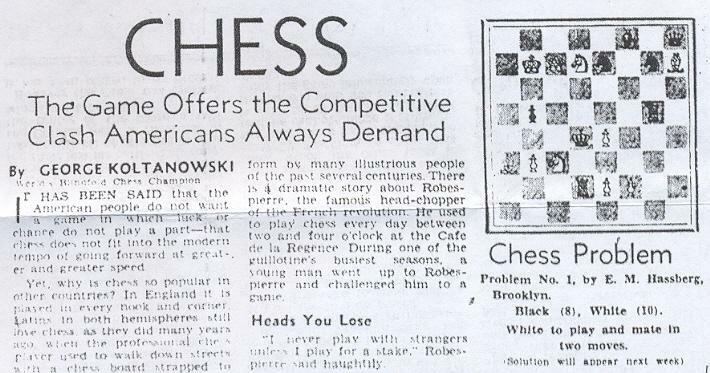 Sergeant (London, 1932) and the ‘incorrigibly lazy’ quote was given by David Lawson on page 231 of Paul Morphy The Pride and Sorrow of Chess (New York, 1976). Morphy New York Ledger Chess Columns 1859-1860 (Yorklyn, 1987) provided a complete set of photographic reproductions of the columns. 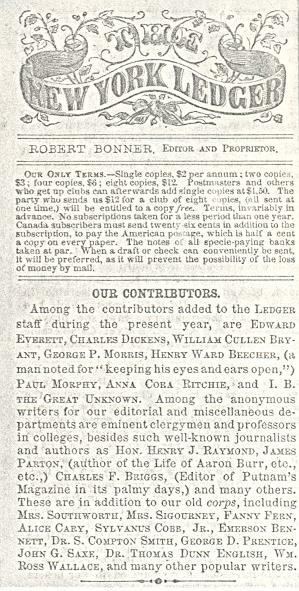 Finally, as regards Charles Dickens’ contribution to the New York Ledger, pages 895 and 912-913 of Dickens by Peter Ackroyd (London, 1991) state that in 1859 he received from Robert Bonner £1,000 for a short story, Hunted Down. At the time that was approximately $5,000. 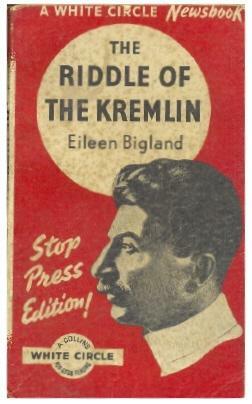 The author of this book is Grandmaster Yuri Averbakh, a well-known chessplayer and writer, who has for over 30 years been at the head of the magazine Shakhmaty v SSSR, now The Chess Herald. We have no knowledge of such a book in English, but in 2003 Averbakh’s memoirs appeared in Russian under the title Shakhmaty na stsene i za kulisami. 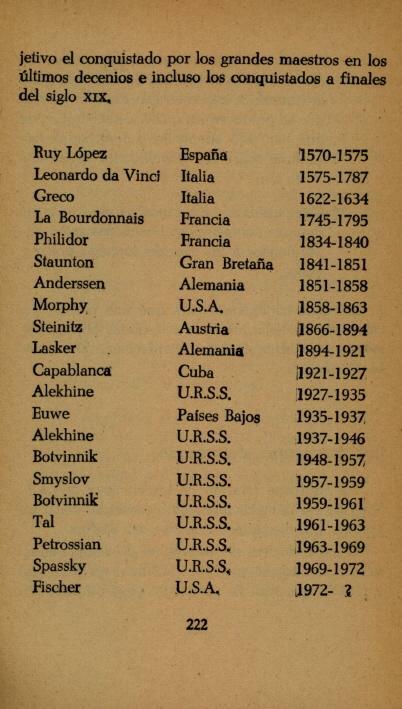 The longevity of that particular Leonardo and the dates concerning Labourdonnais, Philidor, Botvinnik, Smyslov and Tal are a bonus. Can readers help in deciphering the marginalia on the two pages below, concerning the games Johner v Rubinstein and Janowsky v Schlechter? This is the chess patron Clare Benedict (1871-1961), in a photograph taken from her book “The Benedicts Abroad” (London, 1930). 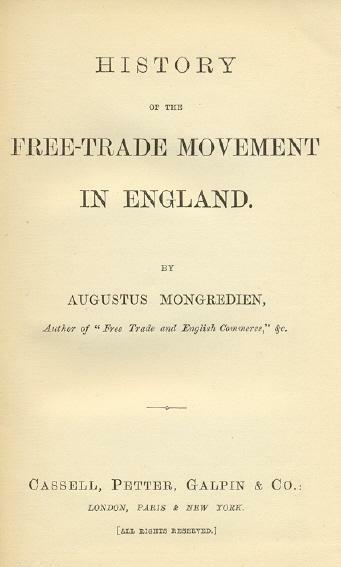 Two of Morphy’s (relatively well-known) opponents wrote books about trade. Who were they? 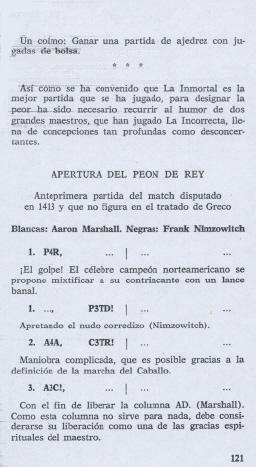 A general article about Marco appeared on pages 65-70 of CHESS, end-November 1963 (‘The Prince of Annotators’ by Dale Brandreth), but has anyone ever compiled a selection of his best observations (with exact sources)? 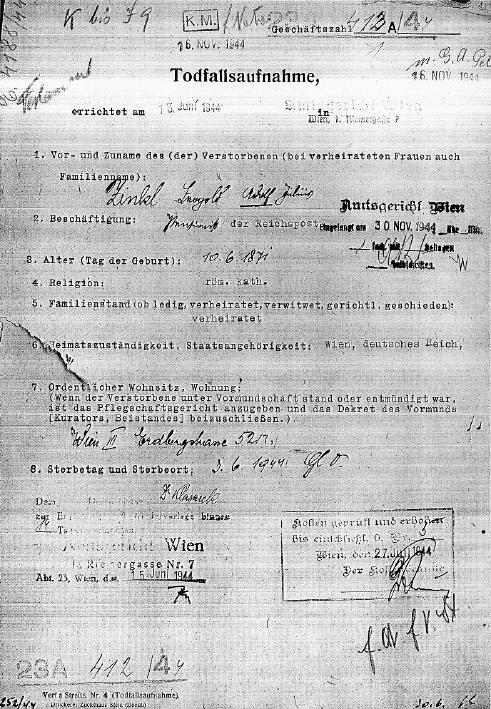 ‘On page 9 of his book Richard Réti, šachový myslitel (Prague, 1989) Jan Kalendovský mentioned that Richard Réti was born in 1889 in Pezinok to Samuel Réti from Hlohovec and to Anna, née Mayerova, in a Pezinok Jewish family. 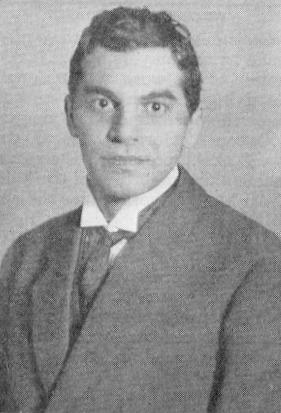 Richard’s brother Rudolph (1885-1957), a noted Viennese concert pianist, composer and musicologist, emigrated to the United States in the late 1930s and subsequently became an American citizen. 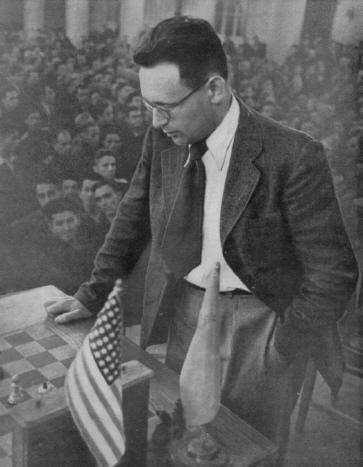 His papers and the chess manuscripts and notes of Richard Réti are held at the Library of Congress. 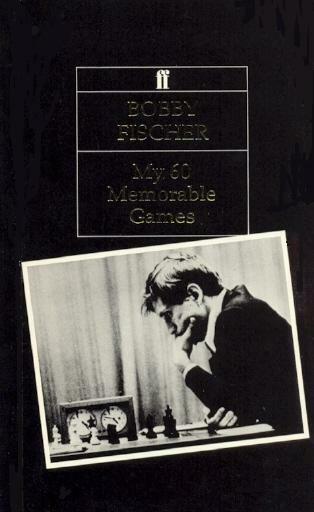 For Rudolph Réti’s reminiscences of his younger brother, see pages 373-381 of A Chess Omnibus. 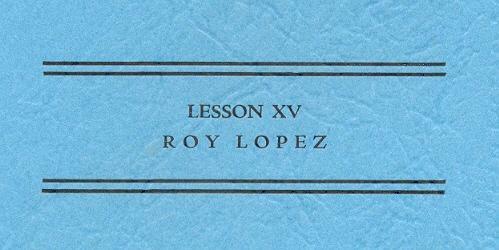 ‘Roy Lopez’ appeared on the front cover of lesson XV in Fred Reinfeld’s series A Course in the Elements of Modern Chess Strategy, but Richard Reich (Fitchburg, WI, USA) notes that some of the pamphlets were reprinted several times and that his copy has the correct spelling. Our correspondent also mentions that lesson XXIV invited subscriptions for an additional four issues, whereas Douglas A. Betts’ Annotated Bibliography (pages 197-199) indicates that XXIV was the last to be published. For our part, we have never seen any subsequent issues. 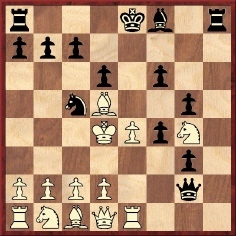 17 Bh6 gxh6 18 e6 Qc8 19 exf7+ Kh8 20 Rxe7 Bh3 21 Qd5 Qg4+ 22 Kh1 Qg5 23 Rg1 Bg4 24 Rxg4 Resigns. 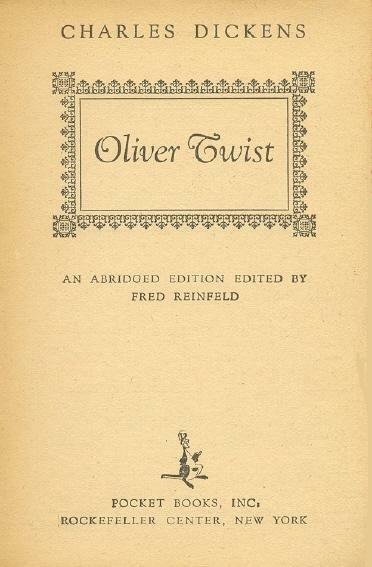 We believe that Fred Reinfeld’s first non-chess book was an abridgment of Oliver Twist (New York, 1948). 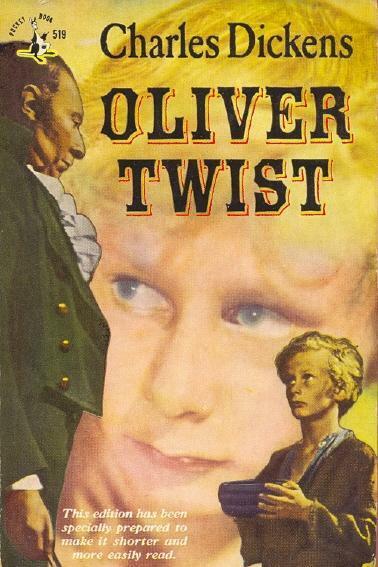 The front cover featured John Howard Davies in the title role in the film version released the same year, and the last two pages (313-314) had an Afterword by Reinfeld about Dickens’ life and work. 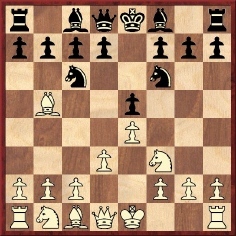 13...Nc6 14 dxc6 Bxd4+ 15 Kf1 Nf5 16 Qe4 Qf6 17 cxb7 Rb8 18 Ke2 Bf2 19 Rf1 Kg7 20 Kd1 Rbe8 21 Qd5 Rd8 22 Qxf7+ Qxf7 23 Bxf7 Ne3+ 24 Ke2 Nxf1 25 Bc4 Rhe8+ 26 White resigns. 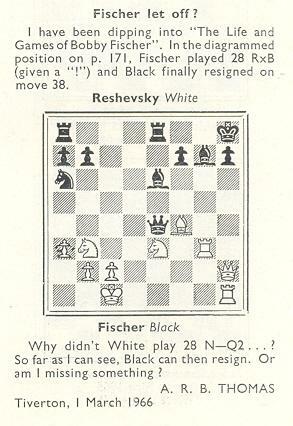 A note at White’s eighth move mentioned ‘an American leaflet on this opening which gives four specimen games’. 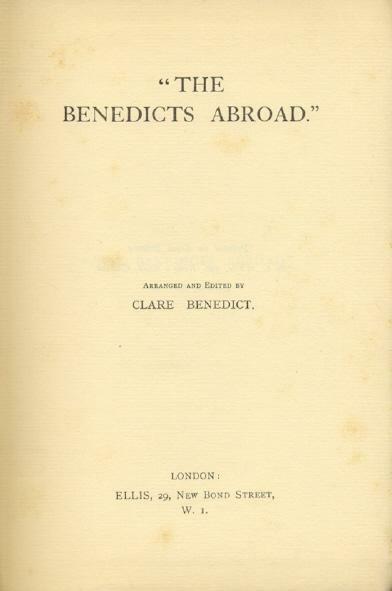 Does any reader have a copy? 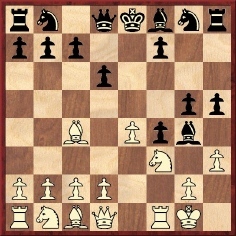 16...Bg7 17 Kc4 c6 18 Bxc6+ bxc6 19 Rg1 Qxe4+ 20 d4 Qd5+ 21 Kc3 Na4+ 22 Kd3 Qb5+ 23 Kd2 O-O-O 24 Na3 Qf5 25 b3 Qa5+ 26 White resigns. As yet we have not ascertained why the name Middleton was applied to the gambit. It may be a reference to E.E. Middleton, who was active in Belgian chess circles in the first decade of the twentieth century, but can a reader take the matter further? 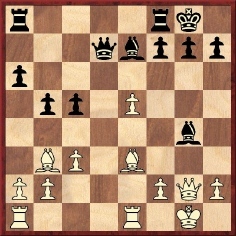 Play went 40...Qe1 41 Qxg6+, and the game was eventually drawn. 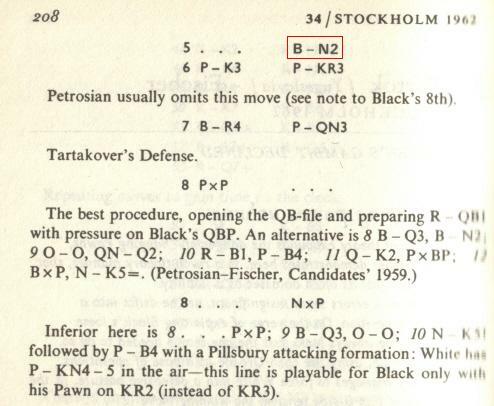 Pachman annotated the conclusion on pages 310-311 of the July 1977 BCM, and it should be noted that some modern sources misdate the game 1978. 4862. Torre and Reshevsky on film? 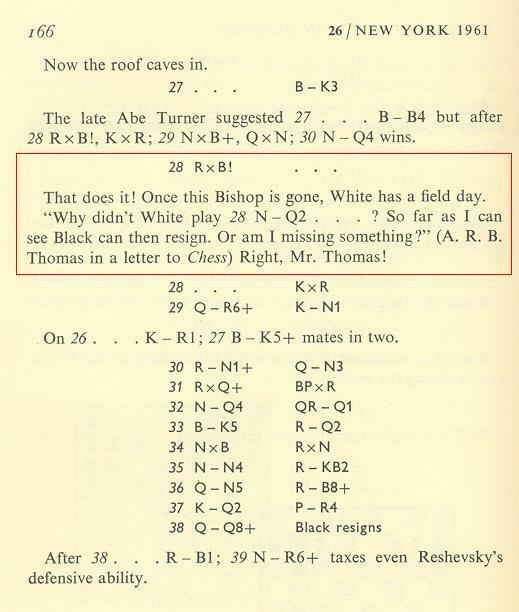 Macon Shibut (Vienna, VA, USA) notes that a remark often attributed to Botvinnik begins ‘every Russian schoolboy knows that ...’ What is the first known occurrence of this phrase in a chess context? 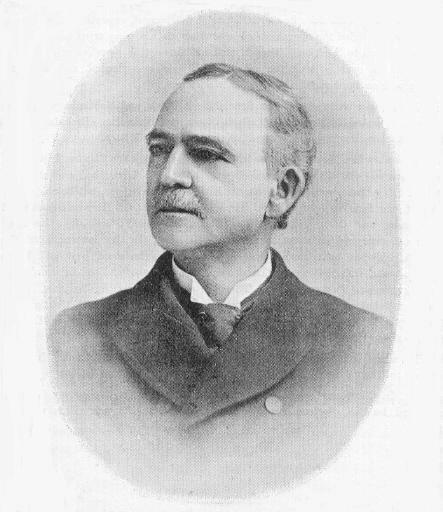 ‘The Middleton Counter-Gambit is named after Thomas J. Middleton of Texas. I mentioned this in passing in my article “The Process of Creation”’. 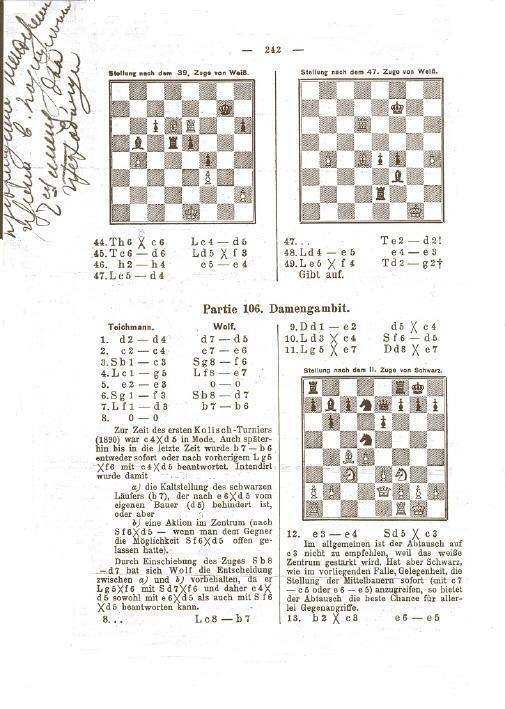 C.N.s 2983 and 2998 (see pages 46-50 of Chess Facts and Fables) gave 18 forgotten games from Schaakkalender van het Noordelijk Schaakbond 1883 (Assen, 1883), including one played in Rotterdam on 22 October 1881 which, we stated, was between C.E.A. Dupré and James Mason. We are very grateful Joost van Winsen (Silvolde, the Netherlands) for pointing out that, as indicated on page 77 of the Schaakkalender, Black was J.H. Zukertort. We add a complication: our own copy of the 1988 ‘black edition’ is slightly different from Mr Hinton’s (on the back cover they are priced at £4.95 and £7.99 respectively). Our copy still has ...O-O in both places. 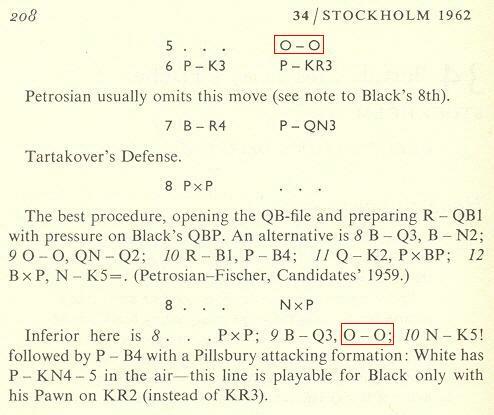 It seems that only the 1995 Batsford edition (page 130) has this matter correct: 5...O-O in the game-score and 9...Bb7 in the note at move eight. Spoof variants on the ‘good chessplayer’ dictum were discussed on pages 396-397 of Kings, Commoners and Knaves, but what earlier citations can be found for Tarrasch’s own words? An obituary stated that ‘a man of his literary distinction is an honour to the game’. 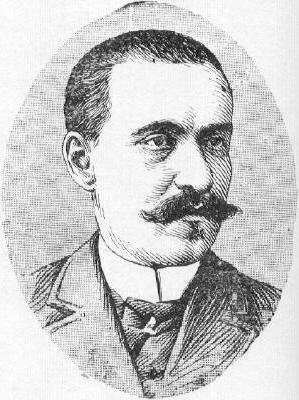 He was a nineteenth-century figure who died in his sixties and was known not only for his activity in the chess world (e.g. the Chess Player’s Chronicle and the Illustrated London News) but also for his writings on Shakespeare as from circa 1860.